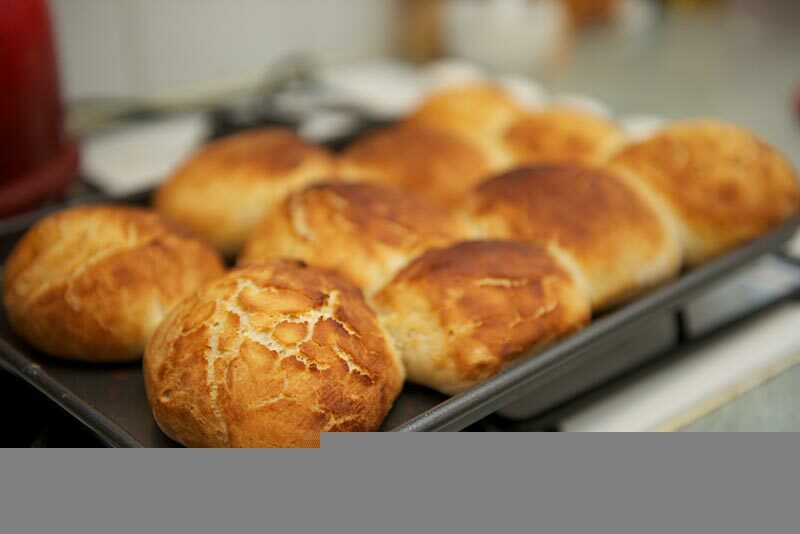 With all the talk in the media of horse burgers, I decided to test my skills on a more ferocious treat, Tiger Bread Rolls. 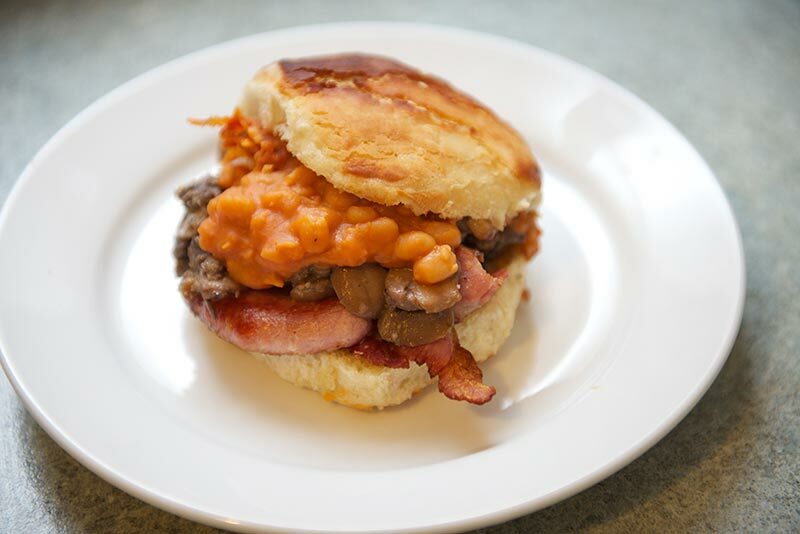 This recipe is from ‘bake!’ by Nick Malgieri. I started by mixing the flour and the salt in a small bowl and set to one side. Next, in a large bowl, I whisked the yeast into the water until disolved and added the oil. I then folded in the flour with a spatula until there were no dry bits stuck to the bowl. 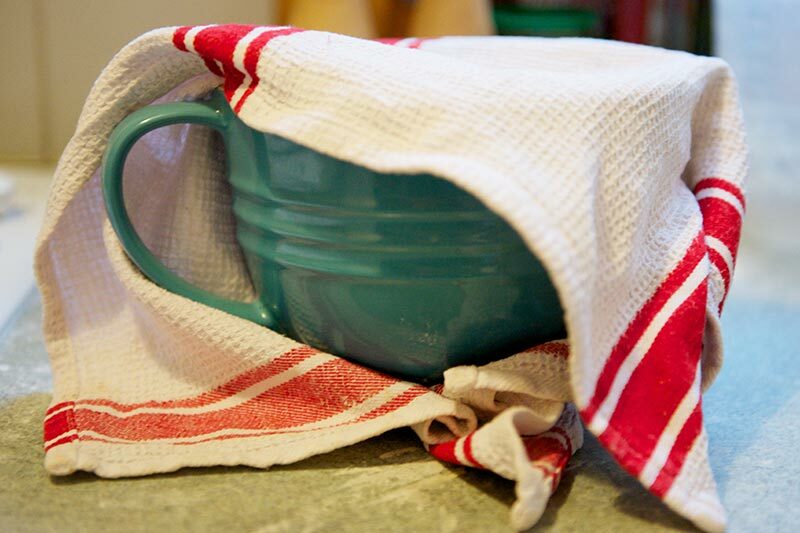 Once mixed, I covered with a clean tea towel and set aside for 15 minutes for the dough to rest. I then repeated the previous step and covered once more. 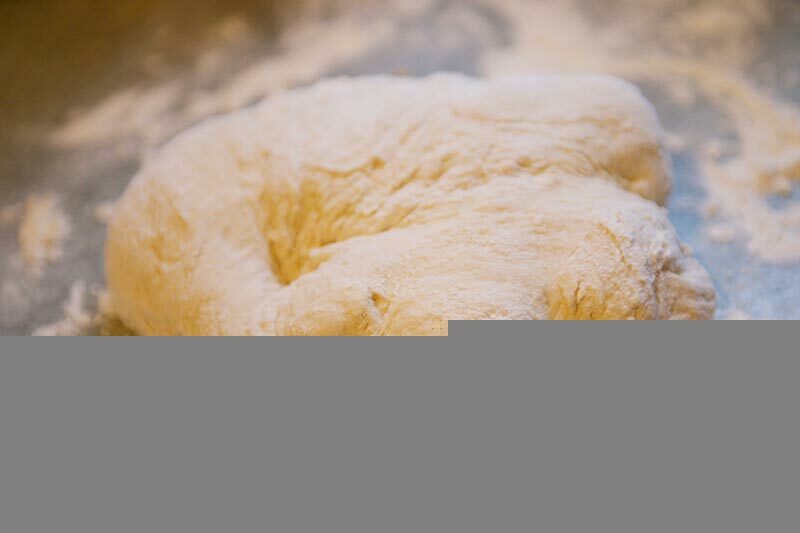 Once rested, I took the dough out of the mixing bowl with floured hands and placed it on a lightly floured work surface to knead. I stretched, pulled, folded and massaged the dough until it was well battered, then placed it back in a bowl and covered it with a tea towel again. I left it in a warm kitchen for an hour and when I returned, it had doubled in size! I took the risen dough out of the bowl and stretched it lightly on to the worktop before cutting it into 10 fairly equal sized lumps. I arranged them on a baking tray, covered with a tea towel and put the fan assisted oven on to 170c. 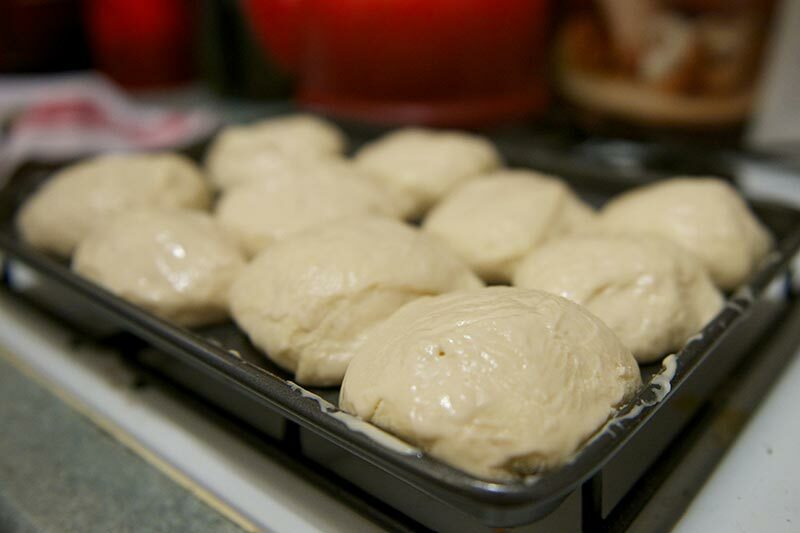 For the topping, I whisked the yeast into the warm water, followed by the remaining ingredients one at a time. I then left it covered to one side for 15 minutes. 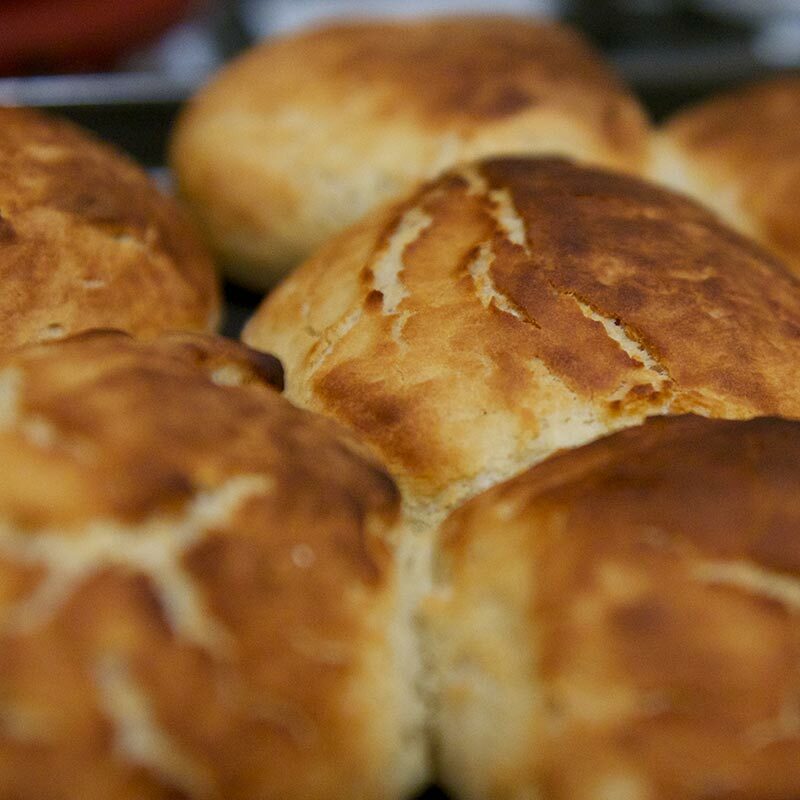 Once rested, I pasted the topping over the rolls using a pastry brush and allowed them to rise uncovered for a further hour. 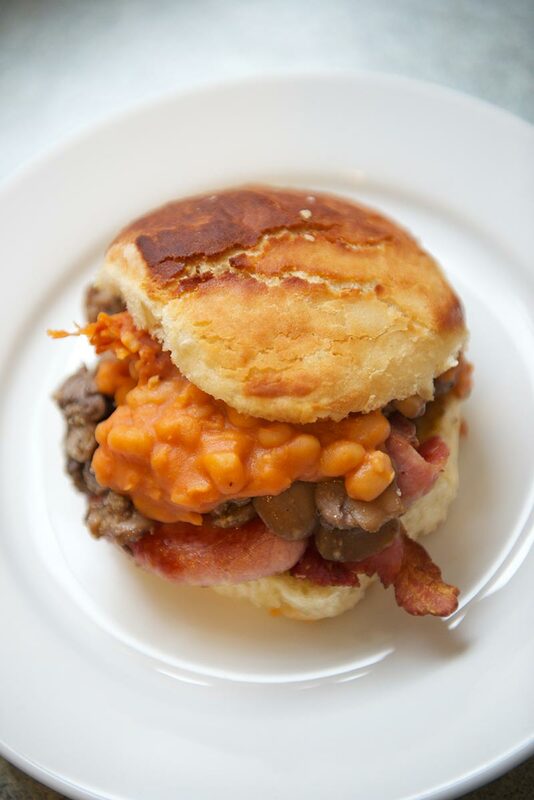 If you haven’t guessed already, there is a lot of waiting around in this recipe! 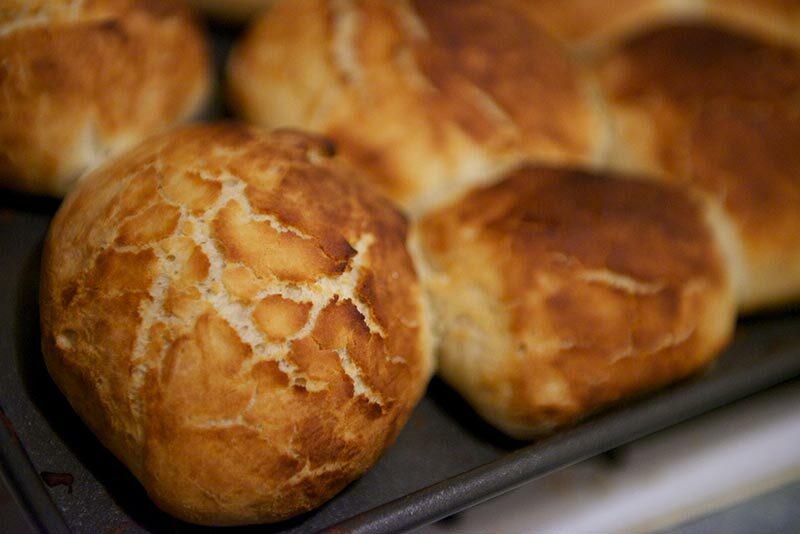 I baked the rolls for 25 minutes until the topping had set, turned a lovely golden colour and began to crack. I let the rolls cool on a rack and let my housemates dig in! My friends arrived just as the rolls came out of the oven, perfect timing! The ones that didn’t get munched last night were eaten this morning stuffed with bacon, garlic mushrooms and cheesy beans. Overall I think this has been my most successful bake to date. Hopefully a sign of things to come! 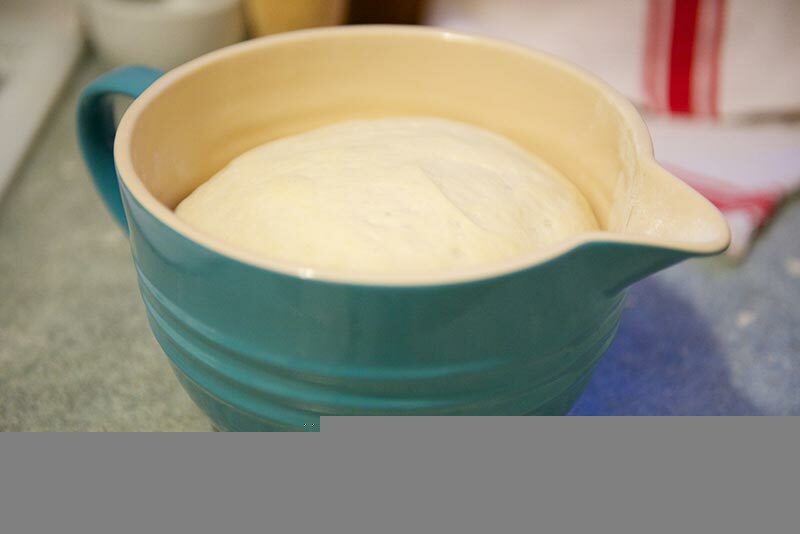 your recipe doesn’t state any sugar in the dough mix – is this right, because I’ve followed your distructions , the dough is in the bread oven, but after 32.9mins there is definitely no indication of the dough wanting to rise to the occasion. 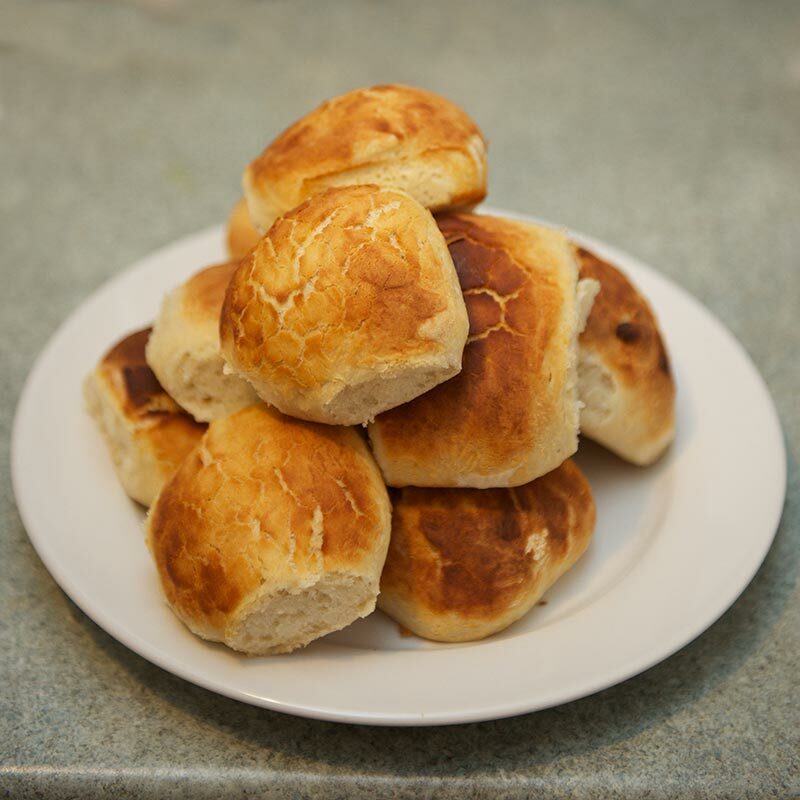 your recipe doesn’t use any sugar in the dough mix – is this correct because after following your instructions the dough is sitting in the bread oven, refusing to rise after 40+mins.